Owning real estate in the Outer Banks is a dream for many who love the area. Stop dreaming and find a home in the Outer banks to call your own. The OBX Real Estate directory is divided into three main categories: Outer Banks Real Estate Companies, Outer Banks Property Management and Real Estate Agents. Buy the perfect home, vacation rental or land on the Outer Banks and spend some time at the beach! Real Estate in the Outer Banks is a limited resource that many people dream of owning. There are over a dozen Outer Banks real estate agencies from Carolla to Ocracoke to help you acquire your own little piece of the beach. They can help with real estate investment, sales and relocation anywhere in the OBX. 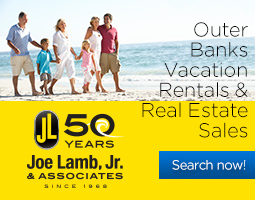 The OBX property management companies serving the Outer Banks of North Carolina. This directory contains a current listing of vacation rental agencies, including contact information and a description of services. If they manage vacation property in the Outer Banks, they are in the Property Management directory! Real Estate Agents and Realtors in the Outer Banks work in a very unique market. They are familiar with buying and selling of both vacation homes and traditional single-family homes. A real estate investor has very different needs from a person looking for a primary residence, and these agents know what to do. Let a seasoned agent help make your OBX real estate transaction smooth and successful! As members of our local Multiple Listing Service®, we can assist you with any property listed by any real estate firm. At Resort Realty, we’ve been helping families buy and sell Outer Banks properties for over 20 years. Nobody knows the Outer Banks better.